Fall is in the air. Can you feel it? We sure can! We went from scorching hot to chilly in just a few days. I've already had to break out my fall boots and chunky sweaters. As much as I love summer and hate to see it go, there are some things about fall that's just irresistible. The colors, the scents, pumpkins, and of course, Halloween! We've also been using our fire pit a lot more in the evenings, roasting marshmallows and chatting by the fire. 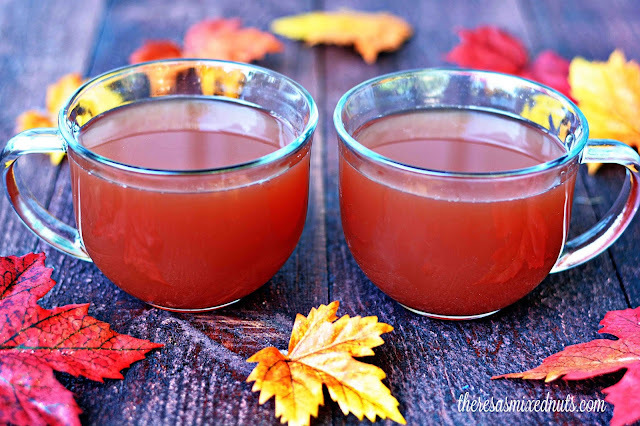 I also like to cozy up to the fire with a warm beverage, so when I saw this Warm Fruit Punch on Golden Blossom Honey, I knew it was something I had to try! It has such an amazing combination of flavors that just sings everything I love about fall. 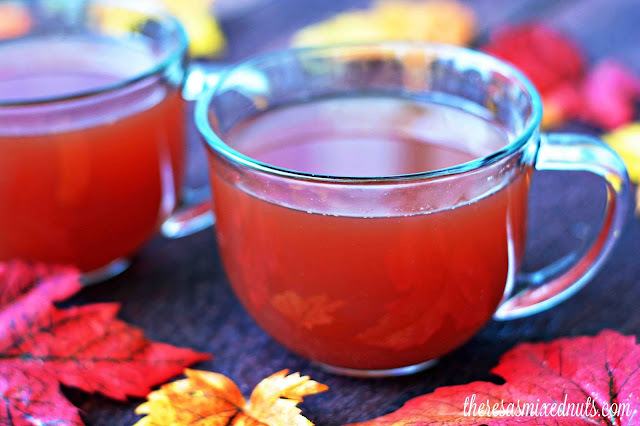 Warm and comforting, it is most definitely a new fall favorite. 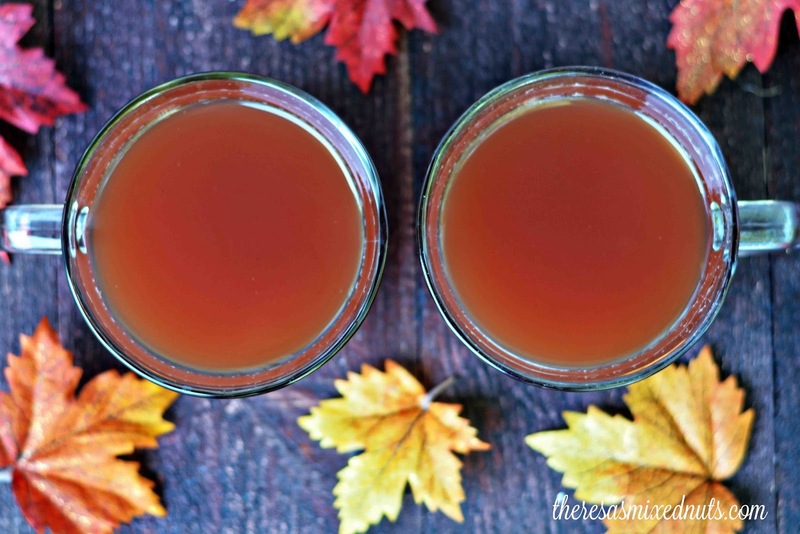 What's your favorite fall beverage? It smells amazing! I just want to leave a pot of the stove warming all day long because it makes the house smell soooo good! Mmmmmm - sounds yummy! Will be great when it starts cooling off here (in the south, so still quite hot). That sounds like Heaven in a cup! I've never had warm punch before. This sounds so good. I'm bookmarking this for when fall gets into full swing here in Rhode Island. this is great for kids and adults. I'll have to give it a try. It sounds wonderful. I'm pinning it. I honeslty do not know if I have ever had warm fruit punch. This looks and sounds really delicious. I haven't had it served warm either. It does sound delicious, and a great family treat. You share the greatest recipes. Thank you. Have a lovely weekend, Theresa. I once bit into a cinnamon stick to see if they're edible. I used to hate warm drinks minus coffee and hot chocolate, but now that I'm older I LOVE it! This really sounds really amazing, I can't wait to try it! This sounds so cozy. There are already respiratory viruses going around here making something like this drink just the ticket! This drink looks so delicious and fun to make! I will have to make this for my family! I never thought about a warm fruit punch but really love this creative idea. I can not wait until the weather actually cools down so we can enjoy some during an evening out in the backyard. The honey sounds wonderful in this drink. This is perfect for fall! That looks delicious, I need to find a new drink for the fall and this looks like this may be it. Mmm they look so delicious! This sounds so yummy! I love anything with honey! Perfect for fall! This would be a wonderful drink to sip on while sitting outdoors enjoying the Fall weather. This is one of the many reasons why I love Fall - all of the warm, delicious things you can make and enjoy :) This would be great with the kids, especially after raking leaves or after we go for our nightly walks.